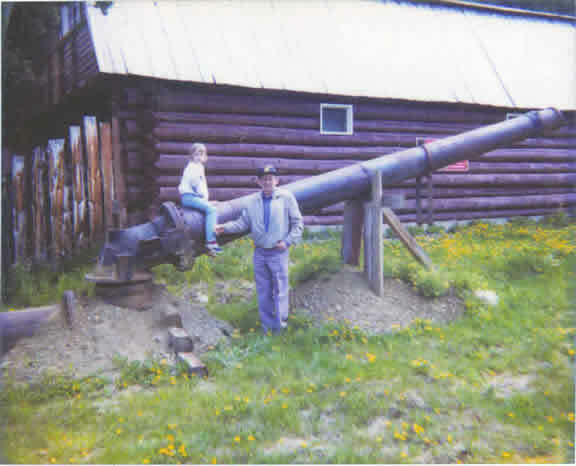 Manson Creek has not been commercialized like many other Gold Rush towns in our province but there is much to see and do. Many old artifacts have been donated to the Historic Society. 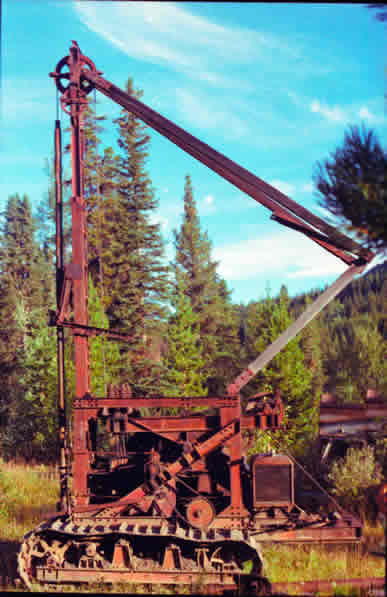 The Marion Steam Shovel in the upper left is the one that took three years to get from Fort St James to Manson Creek rebuilding Baldy trail on the way. After it got here the road was improved enough so that the first trucks could use it to get to Manson. 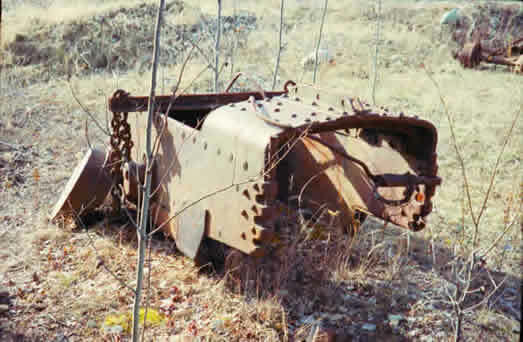 After putting in years of service it was abandoned on the Lost Creek trail where it was stripped to its present condition by souvenir seekers. 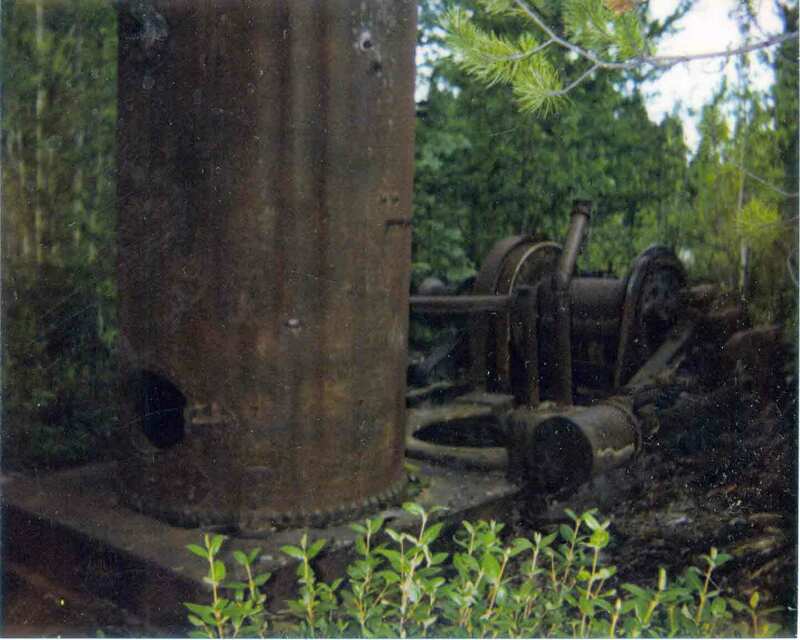 The Steam winch in the upper right was used by Mckorkell Brothers on their Germansen claims where they worked for thirteen years before closing due to World War II in 1942. 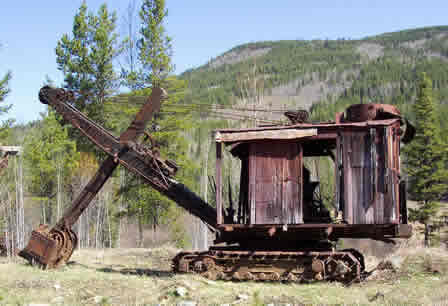 One method still used to test gravels before mining was drilling. 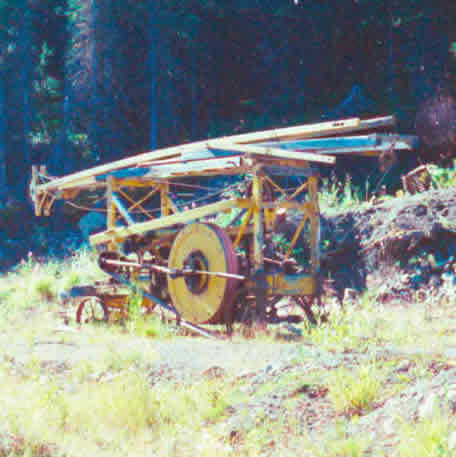 The percussion drill in the lower photo was used by Martin Mines during the 1950-60s, the one on the right came from Slate Creek. Upper left is a bucket used by draglines to move large quantities of gravel. Upper right is a large monitor used by Mckorkel Brothers.